A Bench, led by Chief Justice of India Ranjan Gogoi, had taken suo motu cognisance of more than 5,000 vacancies for subordinate judicial posts even as pendency touched crores. More than three crore cases are pending in the lower courts. It found that the source of the problem lay in poor infrastructure, from courtrooms to residences for judges, and a sheer lackadaisical approach to conducting the appointment process on time. The Supreme Court had earlier warned of centralising appointments to the subordinate judiciary. The court found there were more than 1,000 vacancies in Uttar Pradesh alone. Hopes that Britain’s course to Brexit was finally on track were dashed as several ministerial resignations — including of Brexit Secretary Dominic Raab — and a push for a no-confidence motion against Prime Minister Theresa May triggered a new political crisis, threatening the future of the deal thrashed out earlier in November 2018. May has shown no sign of giving in. She appealed to the public, pointing to the centrality of her deal for keeping Britain’s manufacturing sector (and associated jobs) alive, as well as avoiding a hard border in Northern Ireland, and ending free movement. All pointed to concerns that under the terms being proposed for a backstop — to avoid the creation of a hard border on the island of Ireland — Britain would effectively be locked in an indefinite customs arrangement with the EU, with no way of a unilateral decision to exit by Britain. May insisted that Brexit was a long-term project that did involve the end of free movement, the end of the remit of the European Court of Justice and the maintenance of the integrity of the country. The two cubs of tigress Avni, who was shot dead in Yavatmal earlier in November 2018, were spotted twice, triggering a massive search for them. The cubs have been missing since Avni’s killing on November 2. A forest officer said that experts were monitoring the movement of the cubs with the help of camera traps and pressure impression pads, while a strategy is being worked out to capture both the cubs safely. Avni, officially known as T1, was alleged to be responsible for the deaths of as many as 13 villagers in Yavatmal. She was shot dead in a late night encounter by a team of Forest Department officials and civilian hunter Asgar Ali on November 2, leading to widespread outrage in animal rights activists and Opposition parties. The Centre is not keen on changing the name of West Bengal to ‘Bangla’ as it was “not in national interest,” a senior government official said. The official said the West Bengal government’s proposal to change the State’s name to ‘Bangla’ had been sent to Ministry of External Affairs (MEA) for consultation, as the proposed name resembles that of Bangladesh. Referring to the absence of a guarantee by the French government for the Rafale jet deal, Congress president Rahul Gandhi called it “another skeleton to tumble out of the Rafale cupboard”, while his party alleged that Prime Minister Narendra Modi had “compromised” national interest by ignoring concerns flagged by the Union Law Ministry. The party, at a press conference, released file notings of the Law Ministry which had argued that a government/sovereign guarantee was necessary. The Congress also alleged that Mr. Modi increased the benchmark price — threshold price for sellers/manufacturers to bid — for the 36 Rafale jets from 5.2 billion Euros (Rs. 39,422 crore) to 8.2 billion Euros (Rs. 62,166 crore). The Congress also alleged that the government changed the venue of arbitration (in case of a dispute with the manufacturer) to Geneva from India and accused National Security Adviser Ajit Doval of getting involved in the negotiations. India is committed to a peaceful and prosperous Indo-Pacific region, Prime Minister Narendra Modi said, as he called for enhancing multilateral cooperation and economic and cultural ties among member-nations at the 13th East Asia Summit in Singapore. It was Prime Minister Modi’s 5th East Asia Summit (EAS). Modi reiterated India’s vision of a peaceful, open and inclusive Indo-Pacific region, strengthening maritime cooperation and commitment to a balanced Regional Comprehensive Economic Partnership pact, MEA spokesman Raveesh Kumar said. South Africa’s President Cyril Ramaphosa is likely to be the chief guest of the 2019 Republic Day ceremonies, an official source said. Ramaphosa had hosted Prime Minister Narendra Modi during the BRICS summit in Johannesburg in July 2018. Ahead of the much talked about board meeting of the central bank, RBI board member S. Gurumurthy said the stand-off between the government and the Reserve Bank was not a happy situation. The comment comes amid the ongoing rift between the Finance Ministry and the RBI over several issues, including capital framework of the central bank and easing of lending norms for the NBFC sector. Gurumurthy has been a vocal member on the RBI board asking for easier lending and capital restrictions for Indian banks and more cash for small businesses, a view that is supported by top Finance Ministry officials and has deepened an ongoing rift between the government and the central bank. Fitch Ratings retained India’s sovereign rating at ‘BBB-’, the lowest investment grade rating, although maintaining its stable outlook. The company added that the economy would shrug off any lingering effects of demonetisation and GST during 2018-19 and 2019-20. “India’s rating balances a strong medium-term growth outlook and favourable external balances with weak fiscal finances and some lagging structural factors, including governance standards and a still-difficult, but improving business environment,” Fitch said. “The GST is an important reform, however, and is likely to support growth in the medium term once teething issues dissipate,” it added. The agency added that a recent analysis conducted by it found that India had the highest medium-term growth potential among the largest emerging markets. “The RBI is building a solid monetary policy record, as consumer price inflation has been well within the target range of 4% +/- 2% since the inception of the Monetary Policy Committee in October 2016,” it added. India’s merchandise trade deficit widened in October to $17.13 billion due in large part to a higher oil import bill, official data released showed. The trade deficit is wider than the $14.61 billion seen in October 2017 and the $13.98 billion in September 2018. Oil imports in October 2018 were $14.21 billion, which was 52.64% higher in dollar terms compared with October last year and 30.2% higher than the oil imports of September 2018. However, October data also shows that the exports are again back on double-digit growth trajectory during the on-going festive season. 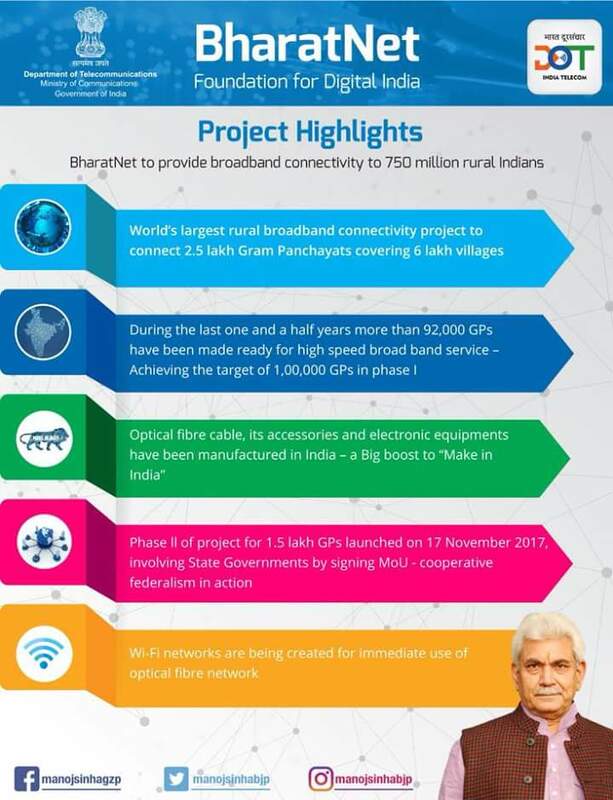 The Department of Telecom has instructed State-owned Bharat Sanchar Nigam Ltd. (BSNL) and Bharat Broadband Network Ltd. (BBNL) to submit reports every day on the progress made in the Bharat Net project that seeks to connect 2.5 lakh gram panchayats in the country through high-speed broadband by March 2019. “Despite fortnightly/weekly reviews for the last two years at my level, it is observed that there is an unprofessional shirking of responsibility; along with inability to resolve on-field problems and inter organisational issues between BBNL and BSNL,” Telecom Secretary Aruna Sundararajan said in a letter. As of October 2018, 1.15 lakh gram panchayats were service-ready. However, extensive field reports have been received regarding non-functioning at 80-90% of the gram panchayats as well as massive under utilisation/non utilisation of Bharat Net infrastructure. 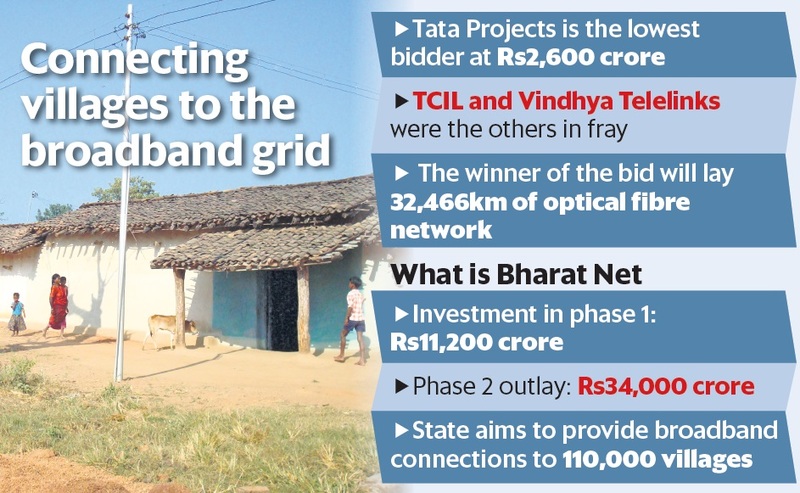 “Though clear utilisation targets have already been set, the actual utilisation on ground is understood to be less than 10% of the target,” she said. To ensure this did not continue, she instructed that a progress report jointly signed by the CMDs of the two firms be submitted to her office everyday, beginning November 5. Astronomers have discovered a frozen planet with a mass more than three times that of the Earth, orbiting the closest solitary star to the Sun. The potentially rocky planet, known as Barnard’s star b, is a ‘super-Earth’ and orbits around its host star once every 233 days, said researchers from Queen Mary University of London. The findings show the planet lies at a distant region from the star known as the ‘snow line’ This is well beyond the habitable zone in which liquid water, and possibly life, could exist, researchers said. The planet’s surface temperature is estimated to be around -170°C, they said. However, if the planet has a substantial atmosphere the temperature could be higher and conditions more hospitable. Barnard’s star is an infamous object among astronomers and exoplanet scientists, as it was one of the first stars where planets were initially claimed but later proven to be incorrect. At nearly six light-years away Barnard’s star is the next closest star to the Sun after the Alpha Centauri triple system. 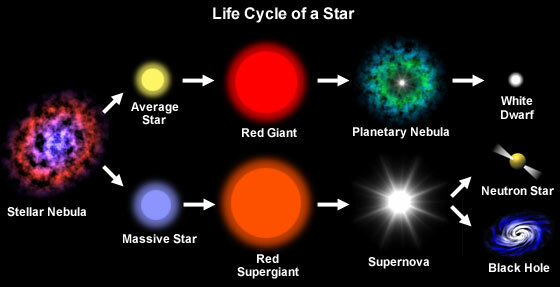 It is a type of faint, low-mass star called a red dwarf. Red dwarfs are considered to be the best places to look for exoplanet candidates, which are planets outside our solar system. Barnard’s star b is the second closest known exoplanet to our Sun. The closest — Proxima b — lies just over four light-years from Earth and orbits around the red dwarf Proxima Centauri. The researchers used the radial velocity method during the observations that led to the discovery of Barnard’s star b. The technique detects wobbles in a star which are likely to be caused by the gravitational pull of an orbiting planet. These wobbles affect the light coming from the star. Buried beneath a kilometre of snow and ice of Hiawatha Glacier in northern Greenland, scientists have uncovered an asteroid impact crater, bigger than the area of Paris. The researchers worked for the past three years to verify their discovery, initially made in the 2015. The crater measures more than 31 km in diameter, placing it among the 25 largest impact craters on Earth, according to the study published in the journal Science Advances. It was formed when a kilometre-wide iron meteorite smashed into northern Greenland.